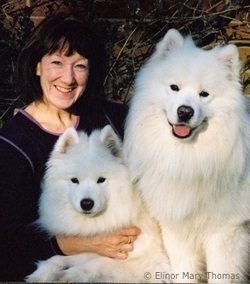 Elinor Mary Thomas - Therapies for Animals - SO FAR SO GOOD ! My first dog, Chelsea, set me off on my Reiki journey. She had operations to remove mammary cancer but the cancer returned. When the vet said there was nothing more that could be done and gave her only a few weeks or so to live I was devastated. I began to research all possible alternative therapies and discovered that a man called Ted Schneck (Dog Cancer Crusade) had done all this already. He had lost a dog to cancer and he shared all his findings through interviews (tele-seminars) with experts in several fields. 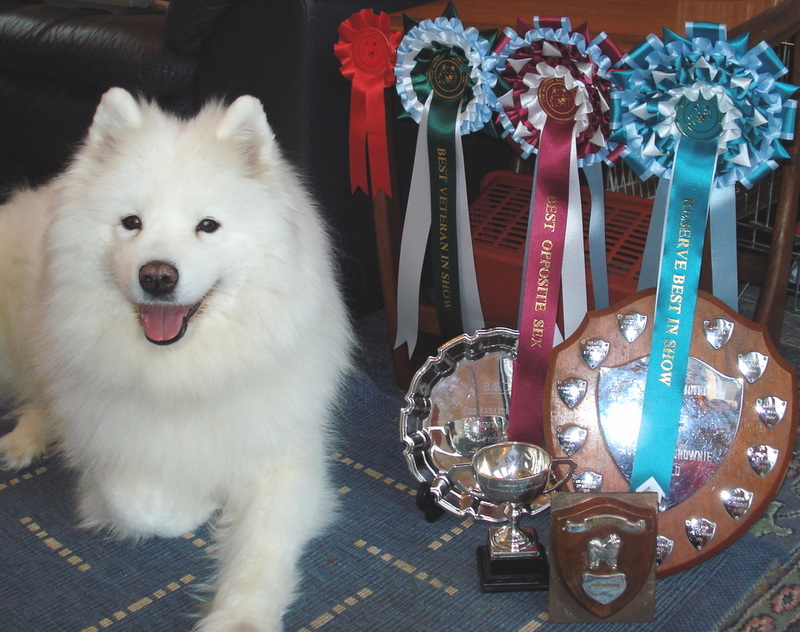 He had collected lots of excellent information about diet, feeding ‘raw’, homeopathy, herbal remedies, crystal healing, animal communication - and Reiki. At the time I did not know of any Animal Reiki Practitioners in the area so I decided to study it myself. Chelsea was my very first ‘client’, receiving daily treatments. She really enjoyed the Reiki energy and taught me a lot about just where to put my hands by wriggling and shuffling until I was in exactly the best place for her, then she’d stay still. Chelsea lived for another nine months, a completely ‘normal’ life, pain-free (without any medication) full of zest and mischief – until the very last day when she went downhill very suddenly and died peacefully in my arms. 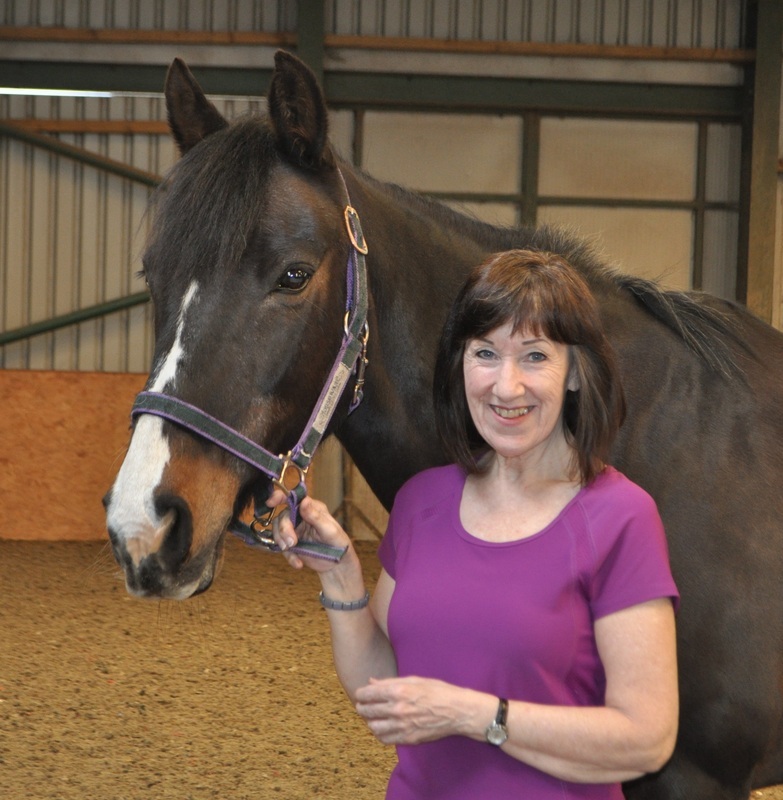 “So Far So Good”, stable name Sophie, who pushed me towards qualifications in Equine Reiki. (She absolutely loves the Reiki energy.) Sophie is now 28 and in excellent health! Animals do so much for us – physically, mentally and emotionally – and without my dog, Chelsea, I would never have found this wonderful healing energy. Every treatment I give is in her memory and she has my eternal love and gratitude. My first experience of EFT was watching a video clip of someone using it to calm a rescue dog. The procedure looked completely crazy, but interested me enough to learn more as the effect on the dog was amazing. Since doing my EFT Practitioner training I have been drawn to work with people (and animals) on self-confidence, stress-relief and performance issues. My continued interest in Energy Therapies led me to become a Certified Emotion Code Practitioner, a Practitioner and Trainer in The Balance Procedure, and a Certified Body Code Practitioner. My career background is in teaching, but now my main focus is on sharing and using the above energy therapies and procedures to introduce animals and their humans to stress relief and general well-being, whilst supporting their healing journey as required. A horse, three Samoyed dogs, two rescued cockatiels and countless fish! I also sponsor two rescue horses at The Healing Horse Sanctuary.